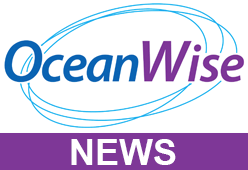 OceanWise is pleased to announce that it will again be hosting its annual Marine GIS Workshop on Tuesday November 18th 2014 at The School for Economic Science in Mandeville Place, London, W1U 3AJ. The workshop, which is FREE to attend, will include presentations and demonstrations of new and existing tools and techniques and how these can be applied in your own working environment. Existing customers will present practical examples of how OceanWise products and services are successfully delivering real benefits and cost savings. By attending the workshop, you will gain from the knowledge and experience of industry experts and practitioners, as well as finding out how spatial data management and GIS can deliver real value! If you are involved in decision support and / or asset management in Ports and Harbours, Coastal Planning and Management, Offshore Renewable Energy, Emergency Response, Archaeology and Heritage, Minerals and Hydrocarbons Extraction, Fisheries and Aquaculture, Conservation, Engineering and Construction or Regulation, you are most welcome. If you (or a colleague in your company) are interested in attending this one day stakeholder event to learn more about what is possible, to engage in discussions and to network with others in your industry; then please let John Pepper (john.pepper@oceanwise.eu) or Janet Chaplin (janet.chaplin@oceanwise.eu) know by e-mail or telephone as soon as possible, as places are limited. Please see the Programme for more details.